Holiday rentals in the Gironde on the Medoc Castle Road, between Margaux and Pauillac. This recently renovated cottage is ideal for a family stay or between friends. 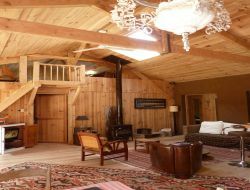 Surrounded by a garden of flowers and trees, can accommodate up to 7 people. Attractive holiday cottage for 4 persons completely renewed, very pleasant, on a raised park near a forest, near Bordeaux (classified by Unesco), in 45mn from ocean beaches, Arcachon, Dune du Pila and near the wine castles of the Médoc. 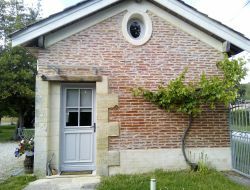 Gite with two bedrooms. 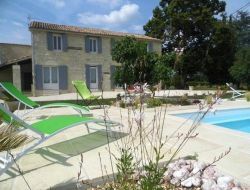 Holiday home situated between Bordeaux and St Emilion in Gironde : warm and bright house of 100 m ², renovated, situated in 200 m from the city center of the Ancient country-house of Créon. Openings giving onto a pleasant shaded garden. Arranging 2 bedrooms of which a parental suite with Italian-style shower. Fully-equipped kitchen. Closed garage. Holiday home for 5 people, possibility of baby bed. 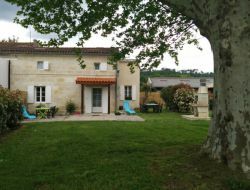 Gite in the countryside on a farm (dairy farming) and wine near St Emilion and Bordeaux. 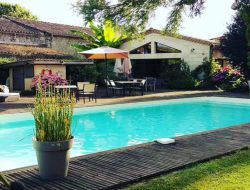 The Gite des Richards welcomes you on the edges of the Dordogne in a quiet and green environment, at the heart of the famous vineyards Pécharmant, Sainte Foy Bordeaux, Saint Emilion. 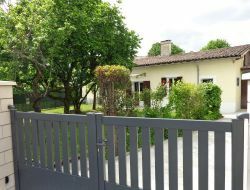 Beautiful completely renovated family house, on 4 hectares of ground. Outdoor space with swimming pool, petanque field, billiards, barbecue. 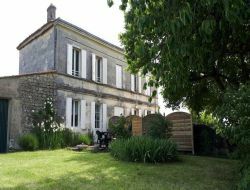 In Gironde, at the heart of the Entre-Deux-Mers, near St Emilion and near Bordeaux, you will be welcomed in a holiday home of 180m² in a 19th century village house and situated in the heart of vineyards, quite equipped, with four bedrooms, privative terrace and swimming pool at disposal. 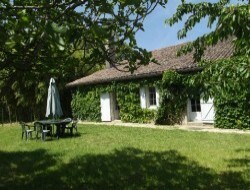 Holiday cottage " 3 stars" in the vineyard of the Entre-Deux-Mers between Sauternes and Saint Emilion, near Bordeaux. 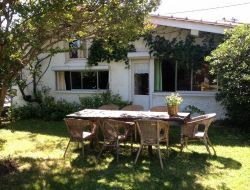 Restored gite for 4 persons, independent, with view on the vineyard and the closed garden. Calm down insurant.